matka kulfi recipe | malai kulfi recipe | matka kesar pista kulfi with detailed photo and video recipe. a popular frozen traditional indian ice cream recipe prepared with milk cream and topped with dry fruits. 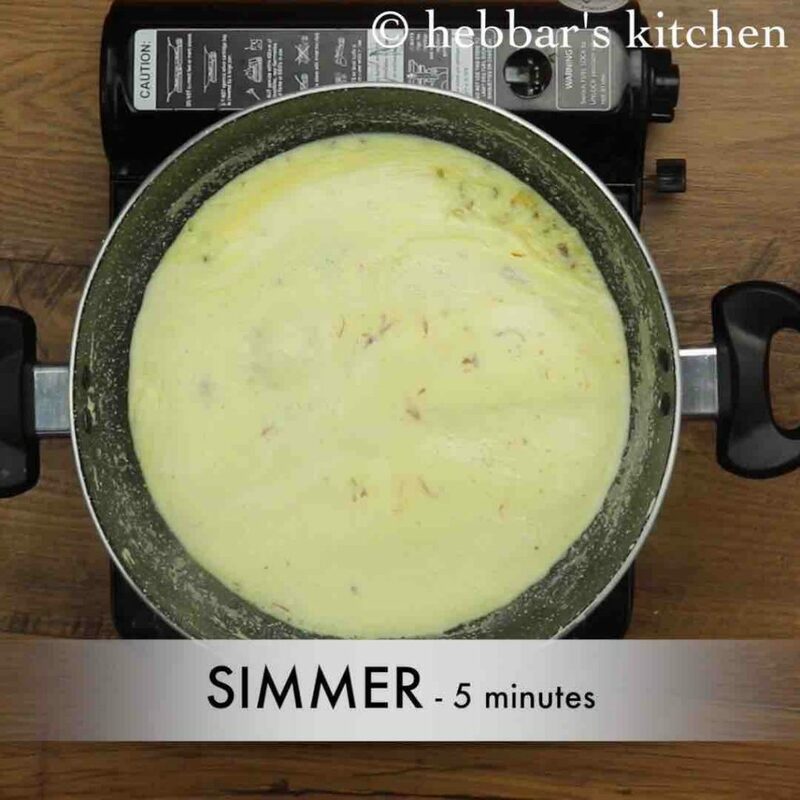 an ideal indian dessert recipe which is denser and creamier than compared to the normal ice creams. there are several ways and flavours to the kulfi recipe, and matka malai kulfi recipe is one such variety. 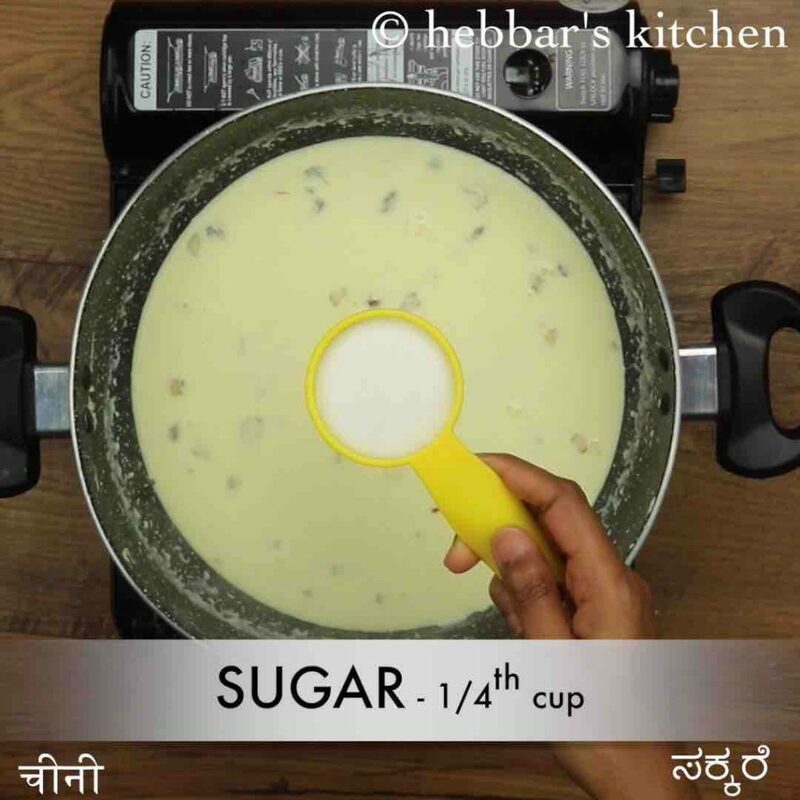 matka kulfi recipe | malai kulfi recipe | matka kesar pista kulfi with step by step photo and video recipe. since the inception of kulfi recipes, there has been many variations and varieties of this indian ice cream. popularly, the kulfi recipes are prepared using the kulfi mould which helps to give a cylindrical cone shape to it. 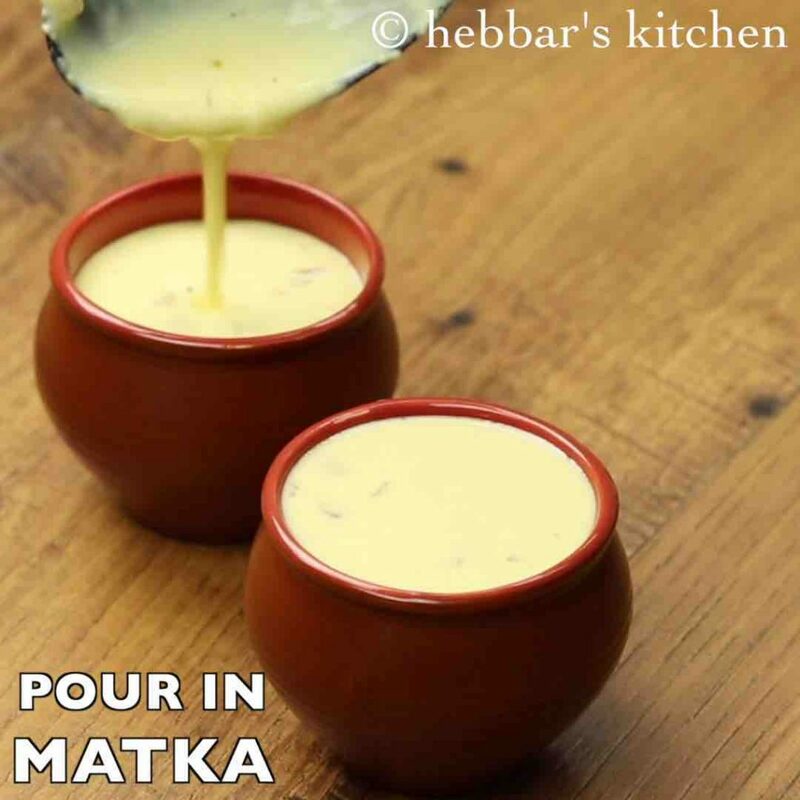 but in this recipe, earthen matka’s are used to shape and hence referred as matka kulfi recipe. traditionally kulfi recipes are always prepared by evaporating thick sweetened and flavoured milk. this evaporated milk is later chilled in kulfi moulds or kulfi matkas to have the proper shape. but there are many easy recipes which even does not require a gas stove or even evaporation. 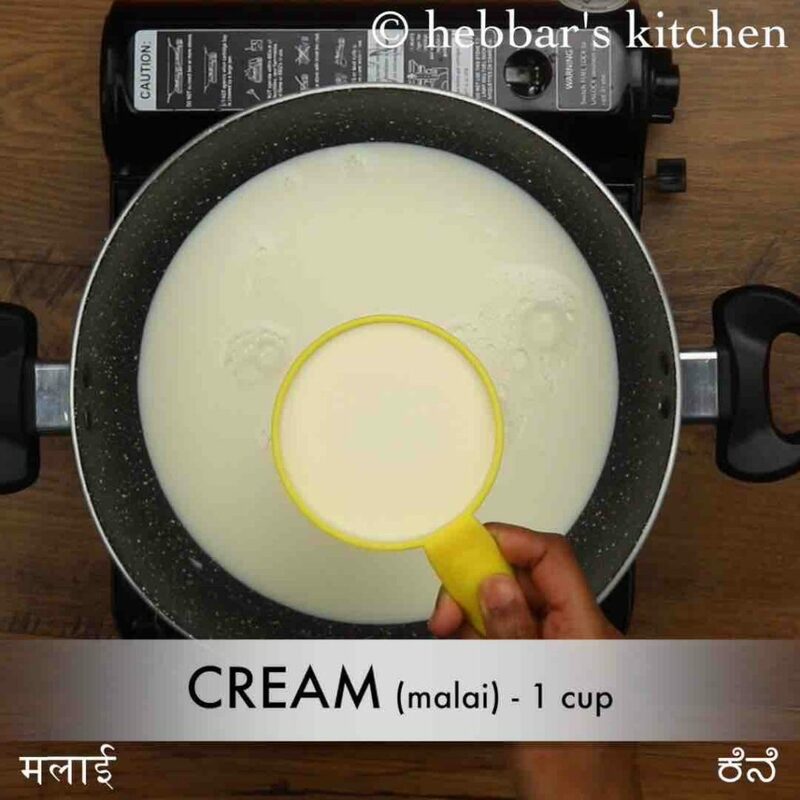 one of the easier ways is to boil the milk in a low flame to which mawa and breadcrumbs are added to attain a thick consistency. 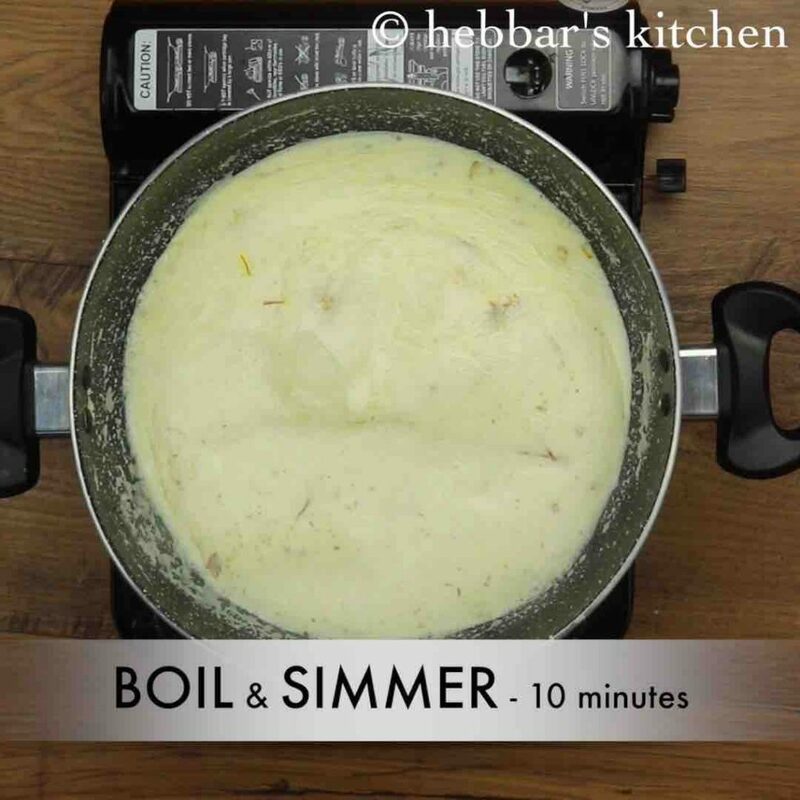 the other no-cook method is to prepare it with condensed milk and thickened the cooking cream. i have prepared the mango kulfi in a no-cook way you can prepare the matka kulfi with the same steps. however, i personally like the traditional way by a slow cooking method with evaporated thick milk for creamy malai kulfi. 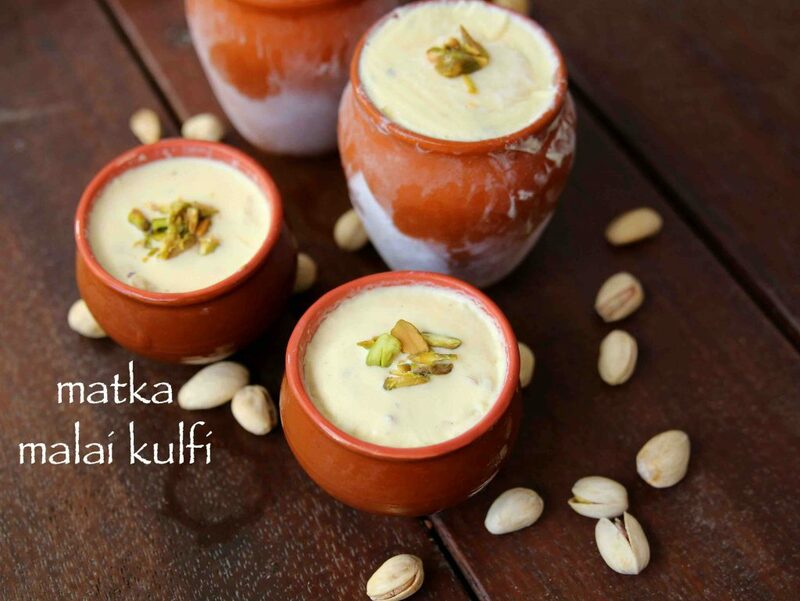 furthermore, some important tips and considerations while preparing matka kulfi or malai kulfi recipe. firstly, i would heavily recommend using full cream milk for this recipe as it is creamier and thicker compared to skim milk. moreover, the evaporation step can be time-consuming and you may have to patiently stir and scrap the edges till it reduces to one third. 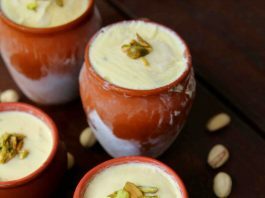 secondly, if you do not have the matka’s or even kulfi moulds, you can use plastic cups, or glasses to shape the kulfi. lastly, ensure to cover the top portion of matkas or glasses while the kulfi is freezing. otherwise, moisture may accumulate at the top and may have a hard top layer. firstly, in a kadai heat 3 cup milk and 1 cup cream. 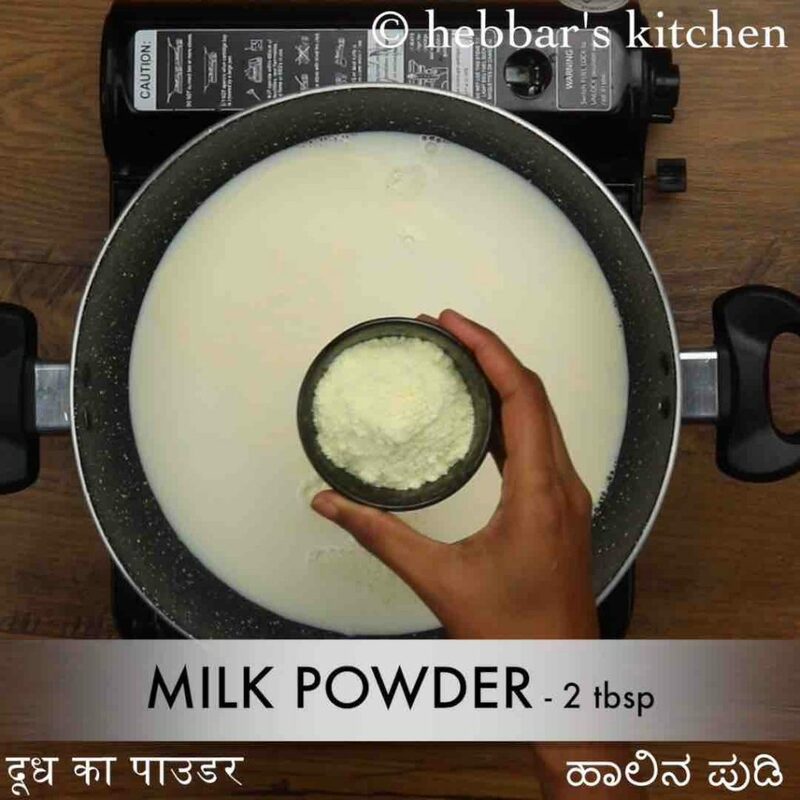 also, add 2 tbsp milk powder. alternatively, add khoya / khova / mava for rich flavour. 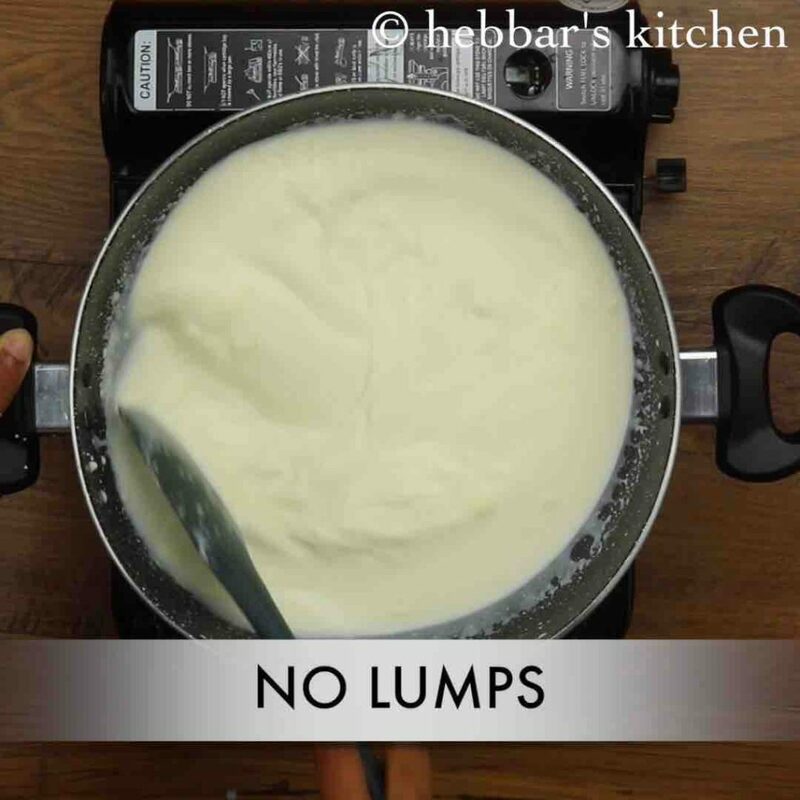 stir continuously, making sure everything is combined well without any lumps. get the milk to a boil stirring occasionally. 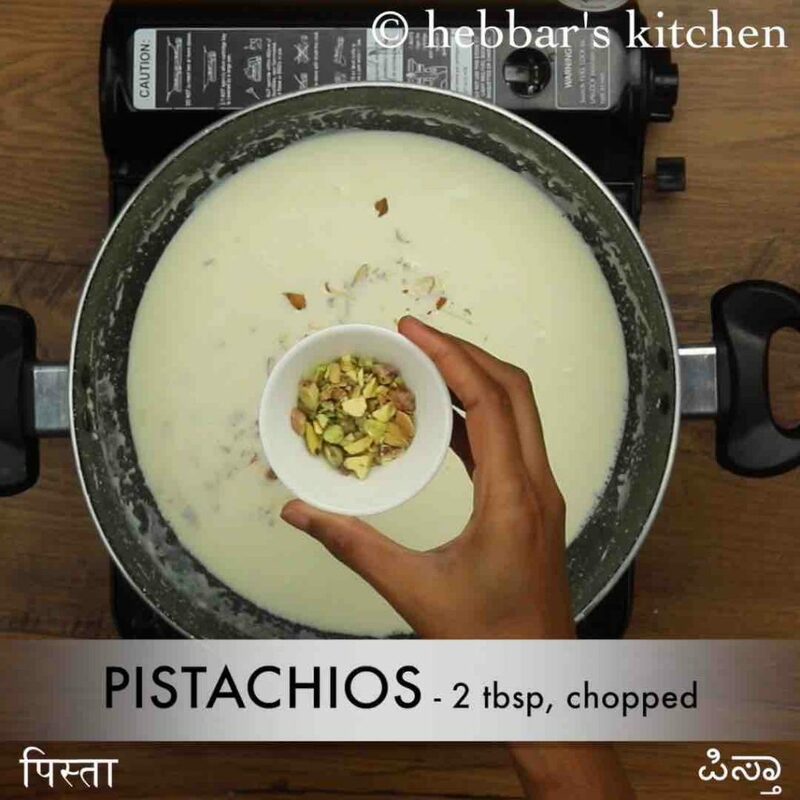 add 2 tbsp almonds, 2 tbsp pistachios, 2 tbsp cashew and ¼ tsp kesar. 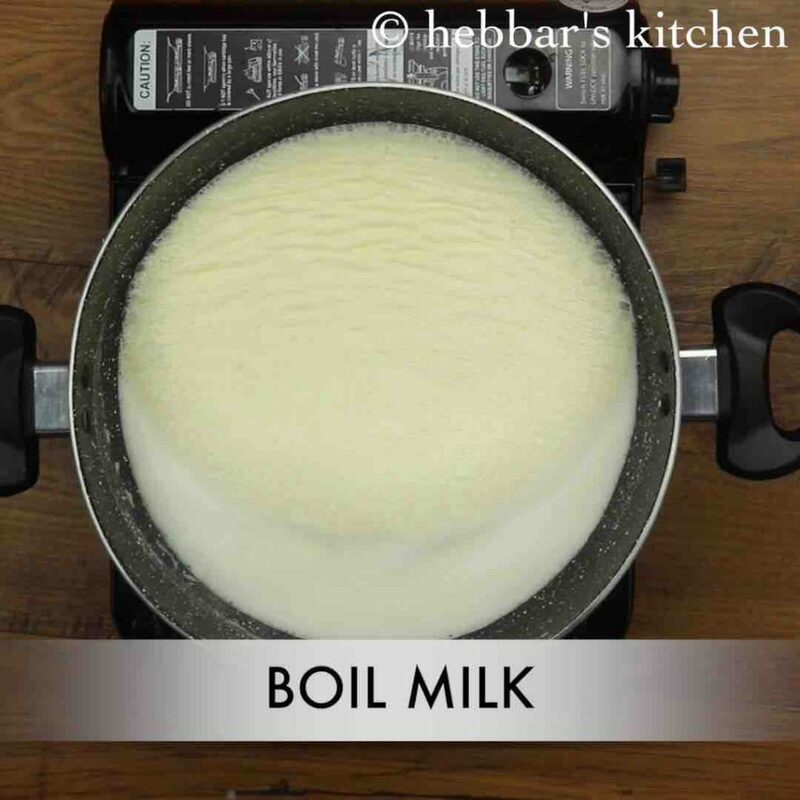 boil the milk for 10 minutes or more stirring occasionally. keep boiling till the milk reduces to half or thickens. add ¼ cup sugar and stir until the sugar dissolves. boil for another 5 minutes, or till milk thickens. cool the mixture and transfer to a small matka or cups. 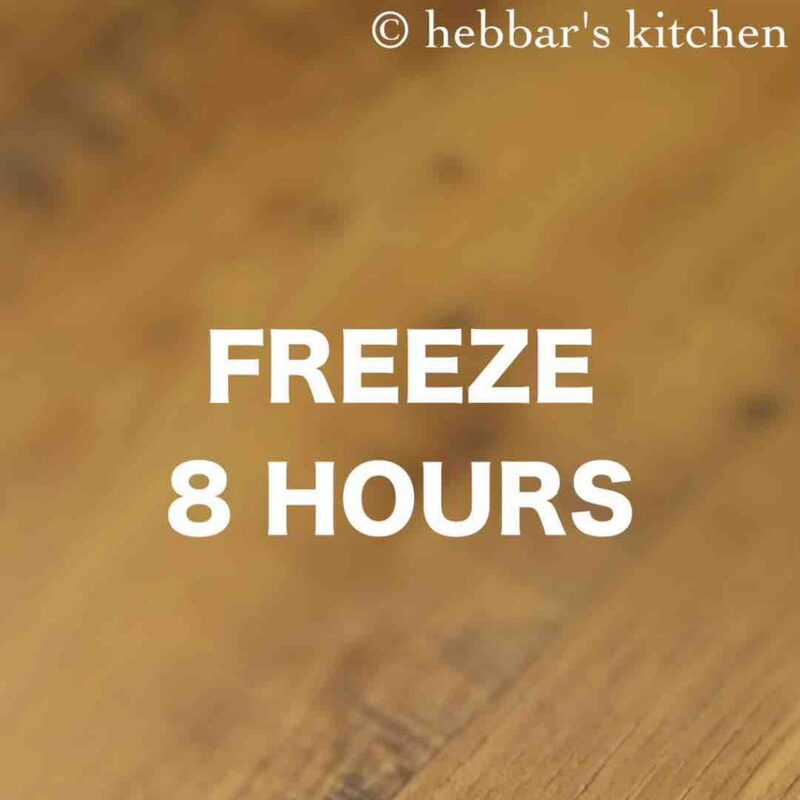 cover the matka with cling wrap or aluminium foil and freeze for 8 hours. 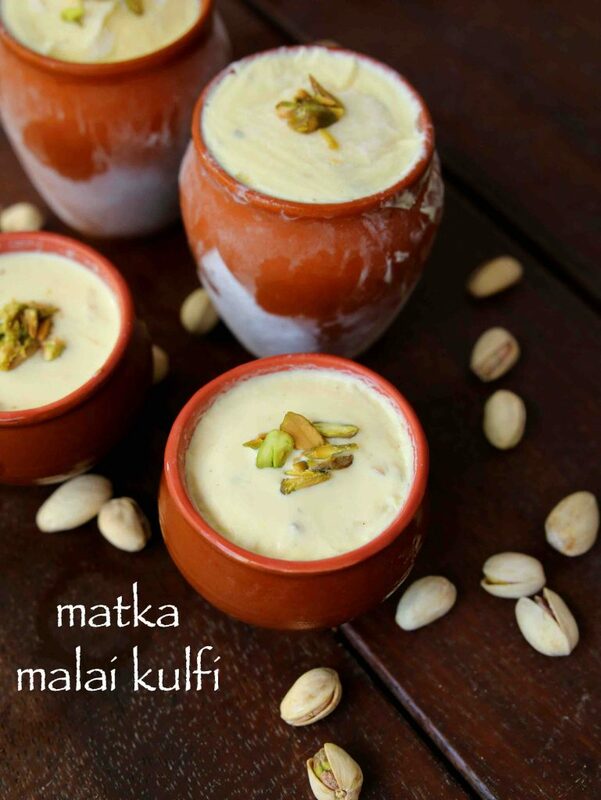 finally, garnish matka malai kulfi with chopped nuts and serve chilled. add in ¼ cup sugar and stir until the sugar dissolves. boil for another 5 minutes, or till the milk thickens. firstly, boil the milk on medium flame else there are chances for milk to burn. 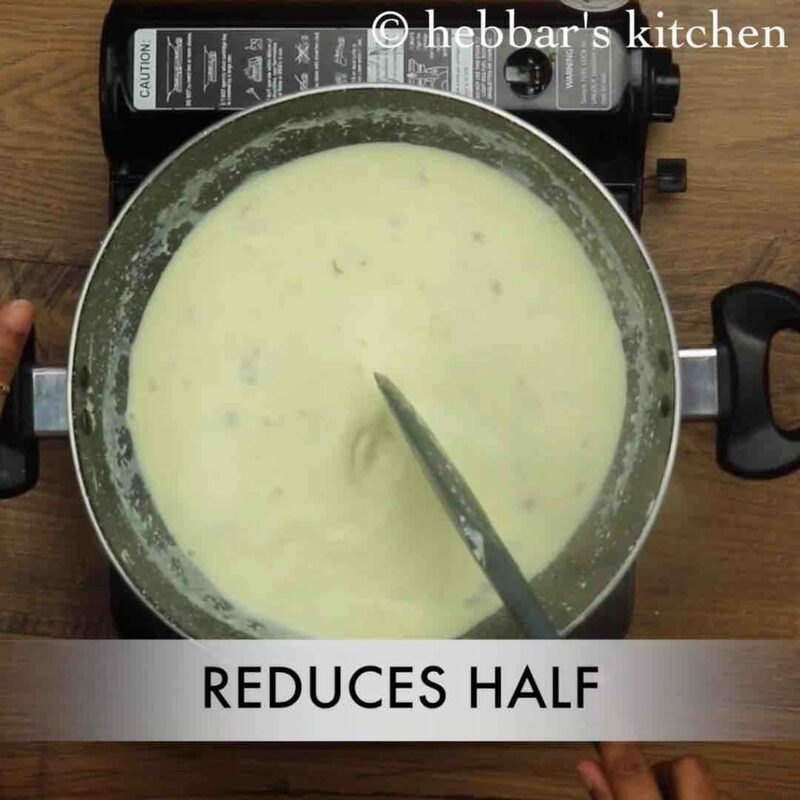 also, add condensed milk instead of sugar to make more creamy malai kulfi. additionally, add nuts of your choice to make it more nutritious. finally, matka malai kulfi recipe stays good for a month or more when frozen.